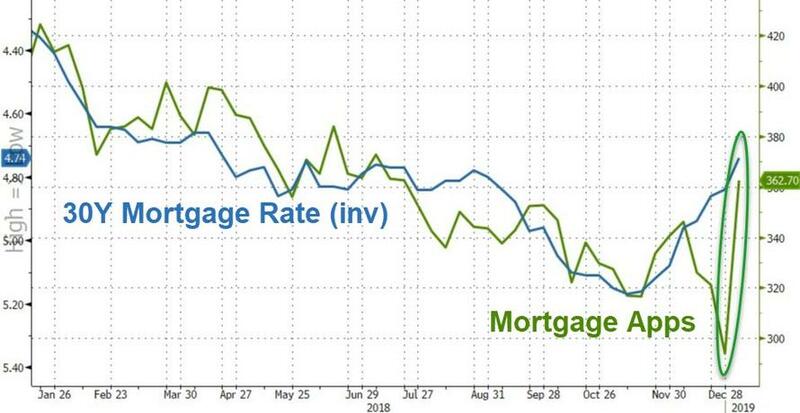 Seemingly encouraged by the dramatic slide in mortgage rates into the end of the year (and perhaps incentivized ahead of the shutdown that impacted IRS' ability to income-verify), US mortgage applications exploded 23.5% last week, with both purchase and refinancing applications rising sharply. Refinancing applications jumped 35.3% (up 80.4%, unadjusted). While some of the spike reflects seasonal noise, part of the increase is likely due to actual activity given the recent decline in mortgage rates. Mortgage rates declined sharly last week. The effective rate on a conventional 30-year loan declined nine basis points to 4.88%, the lowest since April. 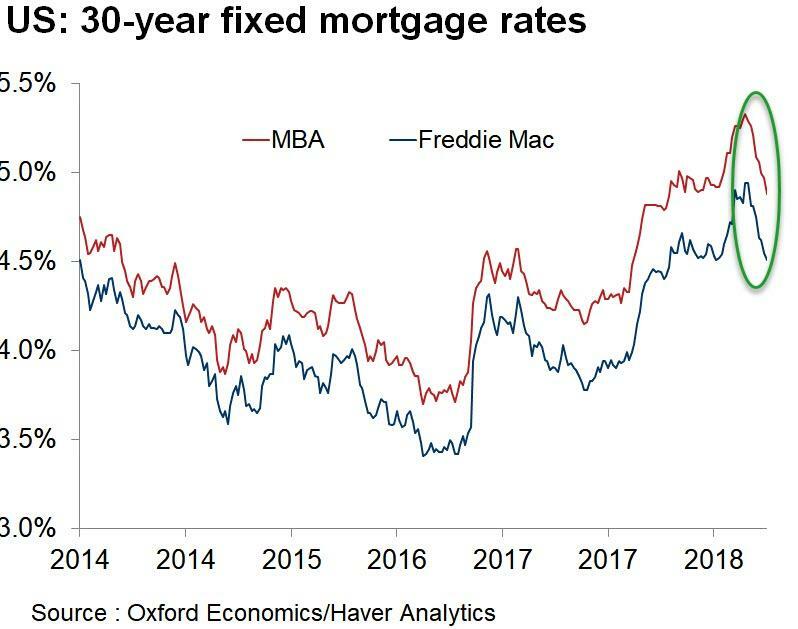 As Oxford Economics points out, mortgage rates have declined 45 basis points from their recent peak in early November. Some of that decline is likely to be reversed in next week’s report given the recent backup in Treasury rates. Oxford Economics notes that on an unadjusted basis, purchase applications were up 59.0% last week. Purchase applications finished December with a 1.5% gain and are starting January 6.6% above the December average. Those readings are positive for upcoming home sales reports, although the January increase is likely to moderate in the weeks ahead as seasonal impacts fade. However, as Oxford Economics concludes, do not get too excited about this resurgence - due to holiday noise, the increases are likely overstating any strength in application activity.